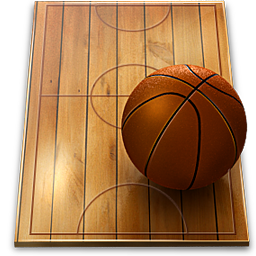 Today we launched our NBA tools for both Fanduel and DraftKings. We've launched with full support for all the features and functionality that we offer over on the NHL / NFL side of things. 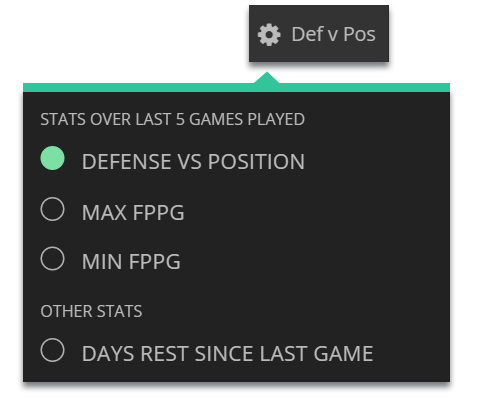 We added a great new feature today that let's you compare even more metrics in our Lineup Optimizer tool. This is available right now for tablet and desktop layouts by selecting the little gear icon to reveal the dropdown menu of options. As with all our tools, we support both Fanduel and DraftKings scoring systems with this new feature. 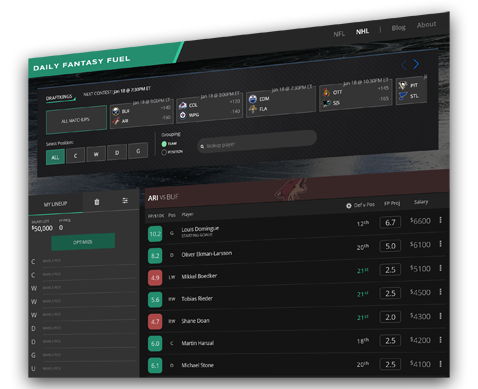 We launched Daily Fantasy Fuel a little under 2 months ago and since then we've had over 10,000 people use our daily fantasy lineup tools. As the community has grown, we've decided to consolidate news and updates into a new blog section to keep everyone informed on the latest and greatest being added.